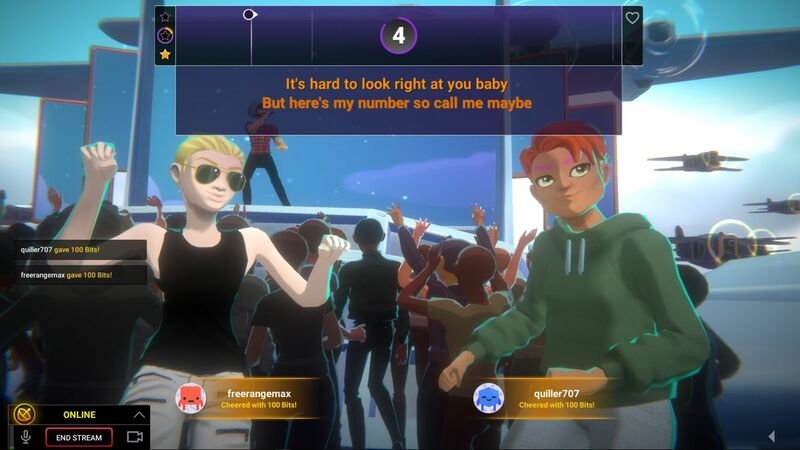 Twitch Sings, a karaoke game that is the first video game developed in part by Twitch itself, is now available as a free-to-play title on Windows PC. Emmett Shear, co-founder and CEO of Twitch, announced the release during his keynote address on Saturday at TwitchCon Europe in Berlin. Shear originally announcedTwitch Singsback at TwitchCon 2018 in October, introducing it as a game that Twitch was developing in conjunction with Harmonix Music Systems. 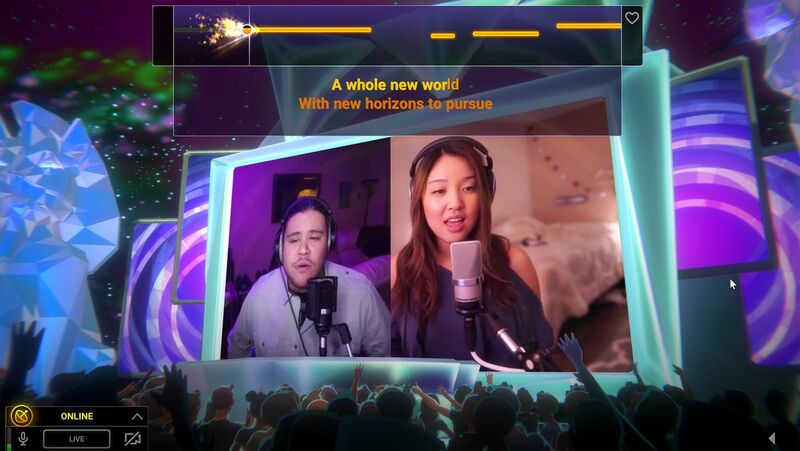 It seems like a natural fit for both companies: Harmonix has more than two decades of experience making music games, and Twitch, as a livestreaming platform, puts the focus on the activity of streaming as the attraction in and of itself. Of course, Twitch isn’t just for streaming video games. 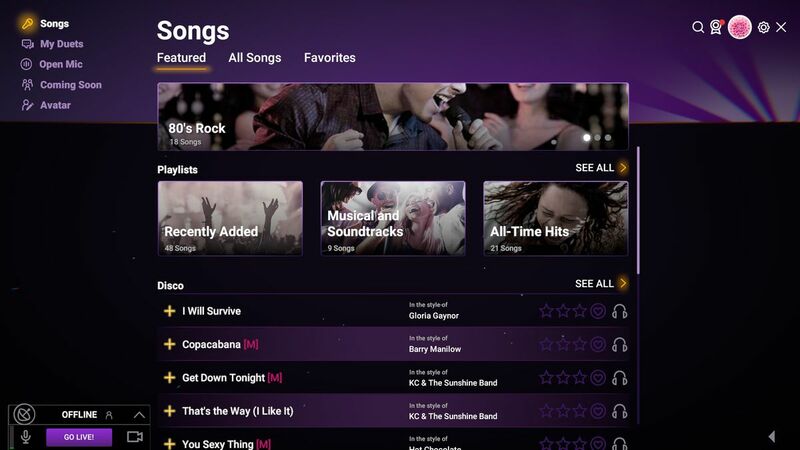 The platform used to have an “IRL” category that it replaced last summer with tags for specific types of nongaming activities, including “Music & Performing Arts.” That category currently has nearly 2 million followers, and consists largely of people streaming themselves performing music. “It’s both a game and a streamer tool,”Twitch Singsexecutive producer Joel Wade told Polygon in an interview on Monday, adding that it “allows people to very easily generate content on their Twitch channel.” It’s a smart play for Twitch — a way to capitalize on, formalize, and encourage something that many Twitch users are already doing. And the game’s design fits with the community-oriented nature of the platform. Livestream viewers can interact with the singer by cheering with Twitch emotes and Bits, giving ovations (which the game tallies as a measure of performance), and voting on which song the person should sing next. Thanks to a deep integration with the platform, the audience can follow and even subscribe to a streamer from withinTwitch Sings— and the game will make a big deal out of those moments when they occur. Plus, when a viewer supports the streamer with a cheer, follow, or subscription, their own avatar may appear on the livestream as a member of the virtual audience. Streamers and fans can also goof off together through in-game challenges, through which viewers ask singers to do something silly such as sing like a cat. Two viewers’ avatars appear on the stream after they donated Bits. The team’s goal withTwitch Sings, said Wade, was “trying to capture the energy of what it’s like to perform live.” Of course, plenty of people have no interest in singing live on the internet.Twitch Singsis an always-online game — it streams the songs from the cloud, so you have to be connected to the internet in order to play — but it does not require users to broadcast their singing. And you don’t need a webcam, either; camera-shy folks can simply appear as an avatar. If you do want to put yourself out there, you can do so after the fact: The game records your performance (video and/or audio), and displays the clip afterward, allowing you to tweak the A/V sync and audio volume before publishing the video online. And one of the cooler elements ofTwitch Singsis the ability to perform duets — although not simultaneously. That’s on purpose: The point of the feature is to allow for asynchronous multiplayer singing. As for the songs themselves, none of them — out of the nearly 2,000 that the game is launching with — are originals. Unlike in Sony’s SingStar series, every tune inTwitch Singsis an “in the style of” cover. Wade said the company partnered with “one of the top karaoke stem producers in the world,” and most of the sound-alikes get the job done. (If anything, the vocals don’t always sound very close to the real deal, but that doesn’t matter much since you won’t really be hearing them.) The catalog covers a wide variety of artists, genres, and time periods, with the list including Elton John, Ke$ha, Garth Brooks, Run-DMC, Pearl Jam, Bruno Mars, Etta James, OutKast, Pat Benatar, Sia, and nearly 60 Beatles songs. It did seem a bit strange to us that there are no difficulty settings inTwitch Sings. The game evaluates how well you’re hitting the notes on a scale of zero to three stars, and the better you perform, the more coins and XP you earn. (Coins unlock customization items for your avatar, and XP levels up your in-game profile.) At the same time, this isn’t really meant to be a solo, offline experience, even if it supports that form of play. “People use it very differently than we thought they were going to,” said Wade, adding that some people in the closed beta have done marathon singing streams as long as 14 hours. Twitch as a platform is all about performing online, and singing is one of the most enduring and popular forms of public performance. As with everything on Twitch,Twitch Singswill be what the community makes of it.